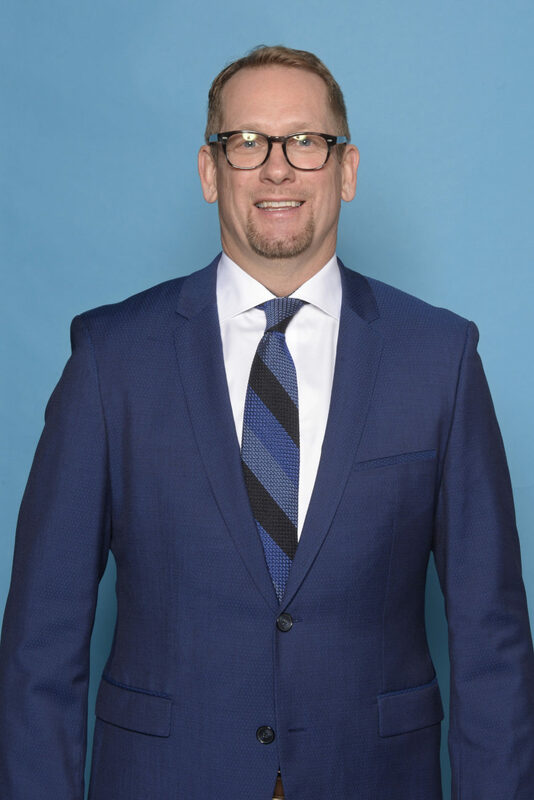 TORONTO, ON - SEPTEMBER 24: Nick Nurse of the Toronto Raptors poses for a head shot during media day at Scotiabank Arena on September 24, 2018 in Toronto, Canada. Nurse is a former head coach of the RGV Vipers. NOTE: This is one in a series that looks at former RGV Vipers coaches who are now in the NBA. Former RGV Vipers coach Nick Nurse keeps a miniature statue of an elephant in his office. It’s a symbolic gesture, intended to welcome his players to discuss any number of topics, no matter how uncomfortable. Should any player feel compelled to speak with Nurse, they’re encouraged to place that elephant on his desk. There is no proverbial elephant, so to speak, in Nurse’s office, however. Just a literal one, in the form of a toy. Those measured approaches helped Nurse ascend through the ranks — first winning a championship with the Vipers, and now as an NBA head coach of the Toronto Raptors, who closed out the regular season Tuesday as the second-best team in the Eastern Conference. Toronto (58-24) nearly won 60 games in Nurse’s first season as an NBA head coach after years as an assistant under Dwane Casey. Nurse also had success playing at the collegiate level, appearing in 111 games at Northern Iowa (1985-89) and is the school’s all-time 3-point percentage leader (.468), having connected on 170 of 363 attempts. The 51-year-old Nurse became an assistant coach under Casey in July 2013. Nurse then took over in July 2018, two months after Casey was fired. Nurse’s first head coaching job came when he was 23 years old at Grand View University, in Des Moines, Iowa, and at the time was the country’s youngest college basketball head coach. Through it all, Nurse has kept the same enthusiasm for the sport, regardless of the rank. The Carroll, Iowa, native coached the Vipers for two years and during his second season (2012-13) RGV posted a 35-13 record and won the G League championship with a two-game sweep of the Santa Cruz Warriors in the finals. Nurse felt the G-League was a great place to experiment with tactics. A total of two G-League titles were won actually won by Nurse with the first coming as head coach of the Iowa Energy (now Wolves) during the 2010-11 season before leaving to join the Vipers. He also was received Dennis Johnson Coach of the Year Award following that championship campaign. The Vipers success has continued over the years and at 7 p.m. Friday they play the Long Island Nets in the third and deciding game of the NBA G League Finals. The Vipers are looking for their league-best third G League Championship. The game can be seen on ESPN U. During six years of coaching in the G-League, Nurse had 23 of his players called up to the NBA. He coached four seasons in Iowa, beginning in 2007, and the final two in the RGV. He admits it was very tough for him to leave his home state of Iowa. Previously, Nurse had coached 11 years in Europe, mostly in the British Basketball League, where he twice won the BBL Coach of the Year Award (1999-00 and 2003-04) and competed against Chris Finch who is now his good friend. Currently, Finch is an assistant with the New Orleans Pelicans and coached the Vipers to its other G-League championship in 2010. Nurse feels Finch is one of the best coaches he’s ever seen and even tried to hire him to be an assistant when he was appointed the Raptors head coach but reportedly was denied permission by the Pelicans to interview him. Matt Brase was a coach on Nurse’s staff when the Vipers won the championship and the current Rockets assistant was in charge of the RGV offense. Nurse loved his time in the RGV and says it was a really different vibe then any place he coached plus it reminded him of being back in Europe. He liked the food, the culture, the music and felt the fans were great.